(Bloomberg) — The rate of growth in Ecuador, South America’s seventh biggest economy, slowed for a third year in 2014 as falling crude oil prices and a refinery shutdown offset gains from higher fishing and electricity output. Gross domestic product rose 3.8 percent in 2014 from a year earlier, less than the government’s 4 percent forecast, the central bank said Saturday in a statement on its website. Growth was the slowest since 2010’s 3.5 percent. In the fourth quarter, GDP rose by 0.5 percent from the previous three months and 3.5 percent from a year earlier. Ecuador, an OPEC nation that relies on oil for about half its export revenue, saw prices for its Oriente and Napo crudes drop by about 50 percent by year-end from a June peak of $98.90 a barrel. That cut funds the government uses to finance public works projects that generate jobs and economic growth. Maintenance on Ecuador’s biggest oil refinery starting in July cut local fuel output by 48 percent last year and forced the government to spend more on subsidized imports to meet demand, the central bank report showed. 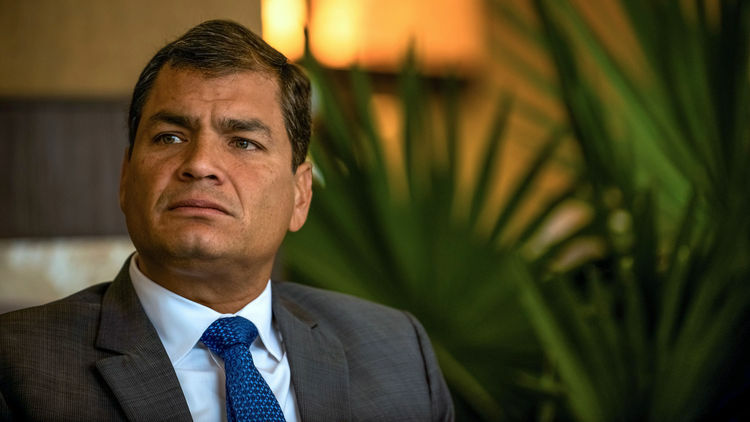 The Andean nation, which uses the U.S. dollar as its official currency, was also hurt by the stronger greenback, which made its other exports more expensive, President Rafael Correa said Saturday in his weekly speech to the nation. Ecuador’s non-oil industries, like agriculture, shrimp farming and electrical output, helped underpin growth, he said. With oil prices hovering close to six-year lows, economists expect Ecuador’s growth to slow further this year, to 2.2 percent, according to the median forecast of six analysts surveyed by Bloomberg News from March 13 to March 18. Finance Minister Fausto Herrera said Monday that the government expects growth of less than 3.8 percent this year, down from a November forecast of 4.1 percent.